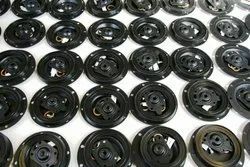 Offering you a complete choice of products which include rubber mould. We have inhouse Design and Manufacturing facility for any type of moulds. All the CNC machines are New. Our products are being exported to Europe, US and Middle East.